A good practical handbook covering all aspects of butterfly breeding, including general techniques, equipment, and hints on how to breed each of the British species, foodplants, hand-pairing etc. 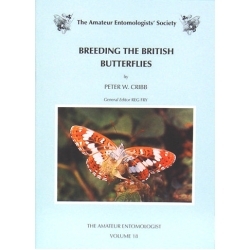 written by an expert on British Butterflies. 60 pages, 6 figures, 5 plates. Paperback 8.25 x 5.75"